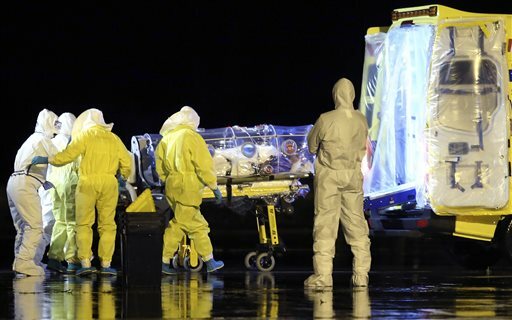 MADRID (AP) — Doctors treating a Spanish priest who was repatriated from West Africa on Monday after being diagnosed with the Ebola virus said there were no samples of experimental drug ZMapp available in the world right now, and they were considering alternative treatments. Garcia Viejo, a medical director of the San Juan de Dios Hospital in Lunsar, Sierra Leone, was transferred to Madrid Carlos III hospital after being flown back from Sierra Leone in a medically-equipped military plane. Mapp Biopharmaceutical, the company that makes ZMapp, says the drug’s supplies are exhausted and that it takes months to make even a small batch.